Jessica. Jessica. Heard of those claims? Silly Witches and her any character could be the culprit because it could be theoretically possible claims. Why? Because “it implies they could be, doesn’t mean the are.” That’s the answer to end their trolling. We could spend lot of time making theories for the sake of it and contemplating X possibilities when reading a mystery but there’s always an easier way to tackle them. There’s a better way to cut down most theories and getting closer to the truth when judging the evidence provided vs. the characters in a story vs. the probability of all of them being true. This is a simple method of figuring out the truth in puzzles. Based on the trailers, game cover and after the appearance of Beatrice at the end of the 1st game I got so many impressions the first time I played the 1st Game. First it was who this Witch was, what were her motives, and whether she really existed or not. Since I sort of took many things as-matter of fact the only thing I really questioned was Beatrice’s relationship to any of the characters of the story. The first thing that came to my mind was her resemblance to any of the characters. And yes Beatrice awfully reminded me of Jessica no matter how I looked at it. Therefore, it isn’t unfathomable to image that there’d be others that would pick up on this resemblance as it’s reasonable to guess in the first place why they’d do it. Yes, Jessica is the culprit theory. How is this helpful when it’s not based on actual evidence or strong leads? Not much because it can’t be. Same as EP6 magic scenes that they tell you that Jessica could be the culprit when it isn’t possible for many reasons. I’ll prove once and for all that any LolJess is the culprit theories are not only weak in nature but false. To back up the red that will be woven here I’ll list all possible clues and evidence to disprove Jessica as the culprit. The only way to counter this truth is to provide not one of equal value but a stronger one that actual puts her as the culprit without resorting to twisted logic that hides the real truth of the mystery. Do try if you wish, but by this reasoning it will be proven that such thing is not POSSIBLE. 1- Fact. Jessica lives in Rokkenjima because of this same as her parents and the servants she stays on Rokkenjima a lot more than the siblings or the cousins. She knows little of what’s going on in the island and at the same time isn’t aware of what happens behind the scenes such as her family’s financial problems. We consider this to be a FACT. 2 – Jessica doesn’t have a prior deep connection with magic or Beatrice. She isn’t like Maria who was able to see/use magic from a young age. Jessica only plays along with the Witch’s illusion to keep Maria happy but she doesn’t believe in magic herself when the Games start unless it involves Kanon. 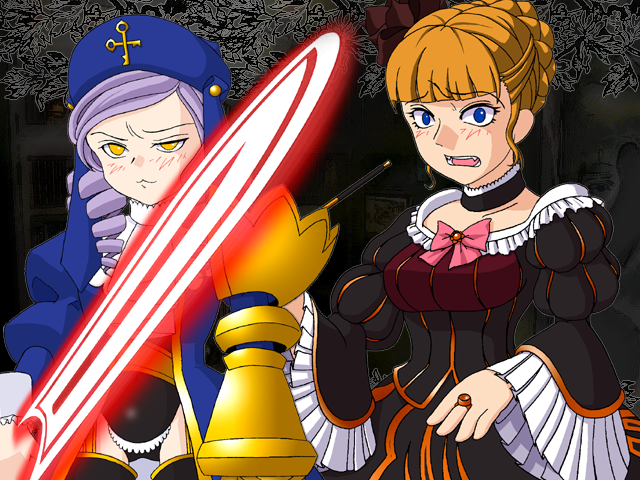 Therefore, her connection to magic is limited to the servants’ stories and paranormal events (Beatrice’s pranks) in the mansion. Nothing like Jessica meeting Beatrice or being involved in magic when she was little is ever mentioned. We accept this as FACT. 3 – Jessica doesn’t have a “past”. I refer to a darker past to be exactly, something that would tell us that Jessica isn’t that sincere tomboyish girl we know. You know in fact, compared to the siblings, the game practically makes her out to be a “victim” with no hidden dark natures unlike George who shows to have old grudges towards Battler and his mother. Yet filling the role of caged teenager with her wings cut, Jessica is aware of her parents’ troubles and is sympathetic of others. We define this as characteristic of hers. New info on her would be out of considered out of nowhere and based on exaggerated notions to confuse matters. We accept Jessica as-is. Secrecy is no greater than any other character in the story. In fact, it’s possibly even LESS. 4- Jessica has a logically debatable put still possible within the game board fair share of encounters with magic in the mystery. Examples of these are mainly the 2nd twilights in most games and at the end of the 1st game. 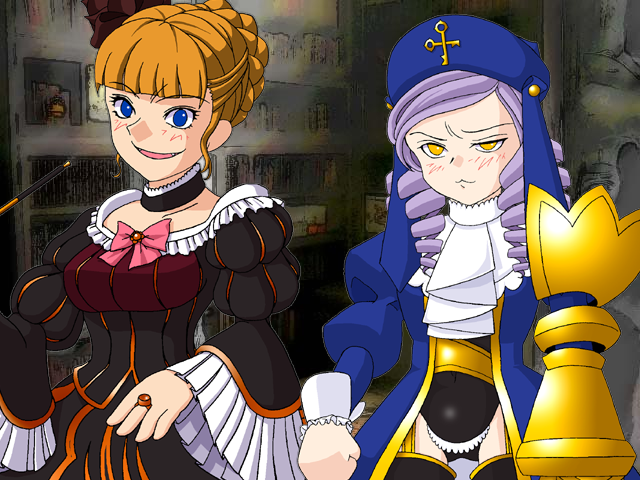 Jessica is also deeply involved in the story in Umineko Dawn making out her (according to the illusion part) to be connected to the murders in Dawn. Battler’s game reveals they weren’t dead in the first place making Jessica a culprit to be too questionable. Jessica is not involved with events of the past and shows to be lost a great majority of the time, making her out to be another clueless character. We accept Jessica is involved in questionable magic scenes. Her connection to magic is only present within the game board, not outside of it. We consider this a FACT. 5 – Jessica’s greatest interest is Kanon the servant then second her friends and family. She doesn’t posses any strong motives other than Kanon. In other words, when Kanon and her “freedom” to live or to love is taken out of the picture Jessica is your average teenager with no motive whatsoever other than defending her life any the ones she cares for. Based on her dislike towards the whole inheritance distribution it’s be theorized that she has zero interest in any monetary part. Second. Based on the belief she has zero interest in assuming charge of the Ushiromiya family but rather stay out of it. It’s implied she also has little interest in becoming head by solving the epitaph herself, which incidentally is clearly is out of her abilities anyhow. We accept Jessica’s only motives to be the ones mentioned here and the information given of her is not bogus enough to outright change her character resulting in foul PLAY. 6 – Jessica DOES resemble Beatrice. If we were to personally know both of them we wouldn’t mistake them for the other but to anyone who rarely know them might mix them up. 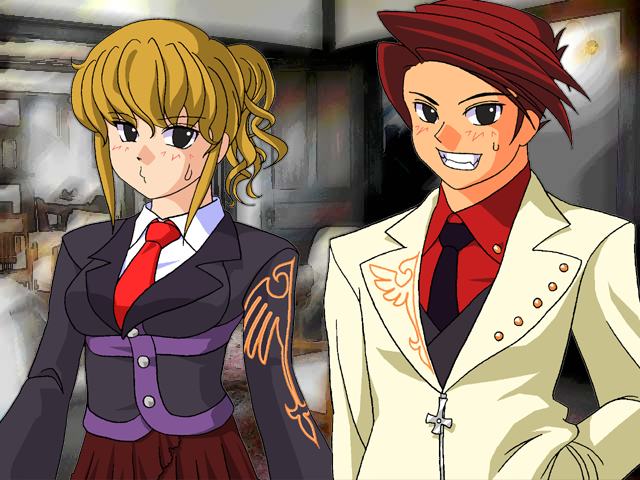 They share the same golden hair, about a similar physique and posses a rowdy, crude and informal attitude which is even mentioned by Battler himself in EP6. Still despite the similarities Beatrice has an air of grace and dignity worthy of a Witch while the average human in this game does not often. Jessica lacks that air of grandiose that the Golden Witch does, which completely sets them apart. Let’s not forget that not only Beatrice is but looks older than Jessica and her motives are questionable in the first place. We accept the fact they share similar features and it’s not impossible to misrecognize one for the other by sight. Physical differences such as height and age go exist to counter this claim. We don’t accept that fact that under normal circumstances a person would misrecognize one for the other. Jessica does not have prior strong connection to magic as far as the mystery goes. Jessica has no dark past or characteristics that’d make her abnormal. This means that her character can be taken as matter of fact. It means that she is exactly as she’s portrayed in the mystery with little to non-existent information by the character herself. Her motives can only be love and protecting her family and friends. Jessica has no interest in money. Jessica is not interested in the epitaph. Jessica can’t become head. This rules out these possibilities because it’s unthinkable to image she has the skills for any of these in the first place. Jessica is a regular character meaning average at best with no greater means than any others, in fact she has less than others to be blunt. Her physical abilities are overshadowed by her bronchitis that acts randomly. Know that it’s impossible for her to be faking an illness without her family being aware of it. Not to mention, it’d be pointless and unrealistic in the first place. For this Jessica is physically incapable of flawlessly carrying out the murder by herself. It is illogical and also outside of her abilities shown by the story to be capable of planning out such acts. Not to mention it’d go against past evidence of the presented characterization for her. It’s highly stressed that it’s also doubtful for Jessica to even be an accomplice in the murders of her family because of the evidence mentioned here unless being forced into it otherwise. Jessica lacks skills and motive to be part of it in the first place. If we exaggerate we could argue that we can completely deny the possibility of a direct Shanon/Kanon X Jessica alliance to carry out the murders. I repeat Jessica cannot be the culprit. Going by Van Dine #11 “it’s forbidden by a servant to be the culprit” it destroys the servants as the culprits therefore Jessica could not even be an accomplice to them the most likely group of accomplices, by this rule. Jessica cannot be the culprit. A different pairing would be necessary to even be EFFECTIVE. Any of them being the culprit cannot be used as a strong answer as it goes against the Van Dine’s 11 for a servant to be the culprit. Jessica and the servants can only be accomplice at best, even that is simplistic as an answer. LOLJessica is not the culprit! This entry was posted in Who dunit and tagged Dawn of the Golden Witch, Dlanor A. Knox, Jessica is not the culprit, Legend of the Golden Witch, reasoning, Requiem, S.S. Van Dine, umineko, Umineko no naku koro ni, Ushiromiya Battler, Ushiromiya Jessica, who dunit. Bookmark the permalink. While not the culprit, she could quite possibly be the acting Beatrice. Right after we get that picture where battler states that he likes a girl like Jessica, we get that monologue where someone creates Beatrice as a kind of alter ego to love Battler. From this, we can assume that Jessica had fallen in love with Battler but, as they seemed to be family, this was an impossible love. Thus, she sealed her feelings into the alter ego of Beatrice. Battler, as we have been led to believe, may not have been a reliable narrator. It’s quite easy to trick someone like Jessica to act as an accomplice when we know that he might not have been fully related to the Ushiromiya family at all (i.e. the thing with Natsuhi and that kid from 19 years ago). Battler himself had sufficient reason to bear a grudge against most of the family: he disliked his father for most of the games, Natsuhi would have left him for dead, he could have heard from Ange how Maria was mistreated by Rosa, Eva was a horrible person in most regards. Furthermore, he already cut most ties with the family anyways. I believed starting from the 4th game that the murders were in fact a joint effort of all the cousins. By (mis)interpreting the clues presented, this level of reasoning were possible for me. You can construct a theory with Jessica as a willing and knowing culprit that follows your reasoning above and does not conflict with any of the information your theory presents. However I believe it is only possible to do this by ignoring certain things about her character that were presented, and thus I tend not to put much faith in it. The theory I’m using didn’t even occur to me when thinking about her actually. On a COMPLETELY unrelated note, do you think you’ll be doing a post about George in the future? That’s it. It’s only possible for Jessica to be involved in the crimes (or dress as Beatrice for example) because there’s something really wrong with her or she has motives that go against her character, but the big thing is that it’s only possible when “ignoring certain things about her character that were presented” as mentioned. Mysteries tend to hide truths, lie about the characters or present all characters in such dark ways that everyone could do the deed. However, there’s always “hints” to whether they’re lying or not or indicating that there’s “more to to them than we know” otherwise it’d be mighty difficult to get to an answer to a problem the necessary data isn’t there. It’d go against “Fair Play”. Takano in Higurashi was a clear example that there was some dark about her from the very early stages of the story. Jessica presents very little of this thus the characterization the story provides goes against it too much that making her out to be psychotic Shion would be too disproportional to her character. I’d need stronger evidence that’d prove otherwise. She could only be accomplice along with the servants to aid the real culprit (Van Dine 11) but even that as claimed by me would be possible but simplistic. The product of this would come out of nowhere confusing the reader if the answer to the crimes would be attributed to someone like Jessica. On the other characters in the story with darker nature that would fit the profile better. There’s other posts but I don’t see why not. I was going to start picking on other characters every now and then anyhow. The only exception is possibly Battler since his connection to the mystery is strong and the possibility of him being a culprit from EP1-EP4 has been denied, EP5’s answer is a wordplay I don’t buy, and EP6 is highly doubtful making him to be as everyone guesses an unwillingly accomplice to the tragedies in some odd way in most games. However, Episode 5 and the birth thing still keeps nagging at me, and I really think it’s something very important to the real answers. It’s already been hinted at since the 1st game. 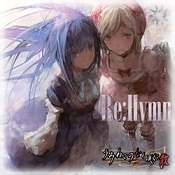 I haven’t finished Requiem though, so I might be missing something. Requiem goes a long way to explaining the real answer (maybe), so you may wish to have a good think about the theory before you finish the story. In episode 7, Jessica said she was faking her asthma.